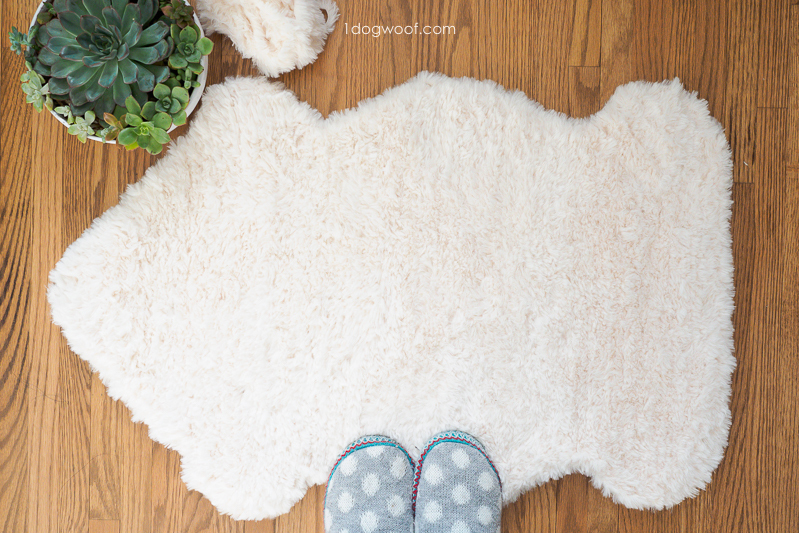 I’ve had this faux fur DIY sheepskin rug bouncing around in my head for around 2 years now, and I’m so so glad to finally turn this project from an idea to a reality! 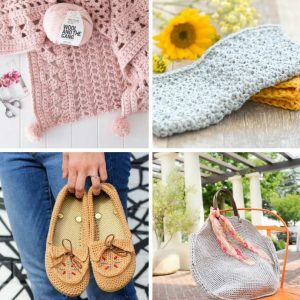 This project is made in collaboration with Lion Brand Yarn. 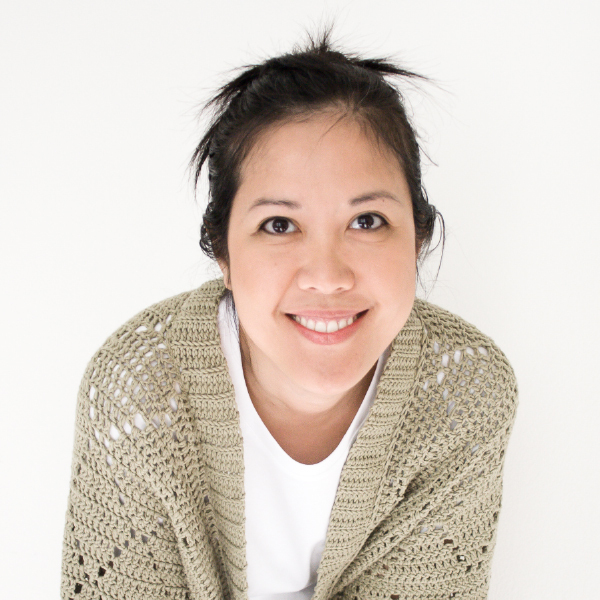 I received product for this project and share affiliate links to the products I use. Each purchase earns me a small commission and does not affect your purchase price. It’s been so long, I don’t even remember how the idea started. I’ve had some Lion Brand Fast Track yarn a long time, and I knew this is what I wanted to use for the base of the sheep. 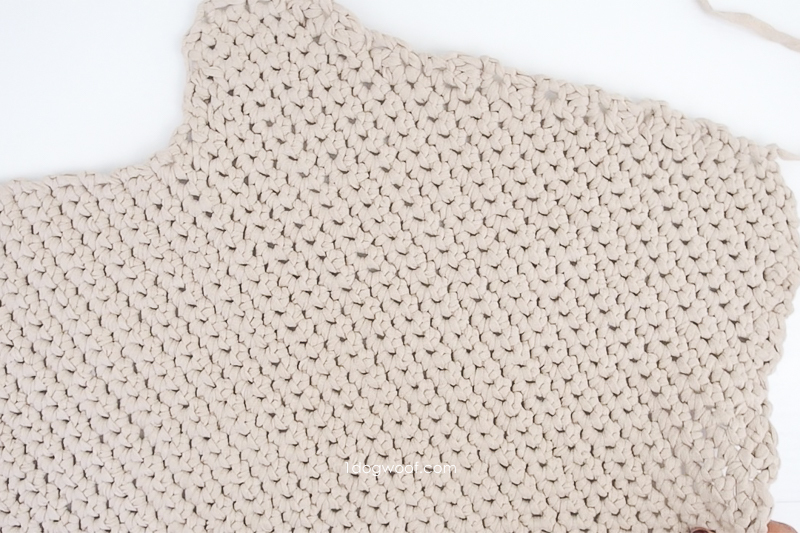 It’s thick and chunky and has a gorgeous weight and drape to it. It’s a great yarn to use for rugs! My Fast Track work in progress sat for months, in the shape of half a sheep, just waiting for the right yarn to come and be the fur on top. And now, Lion Brand has their gorgeous Go For Faux yarn which is perfect for being the top of my sheepskin! 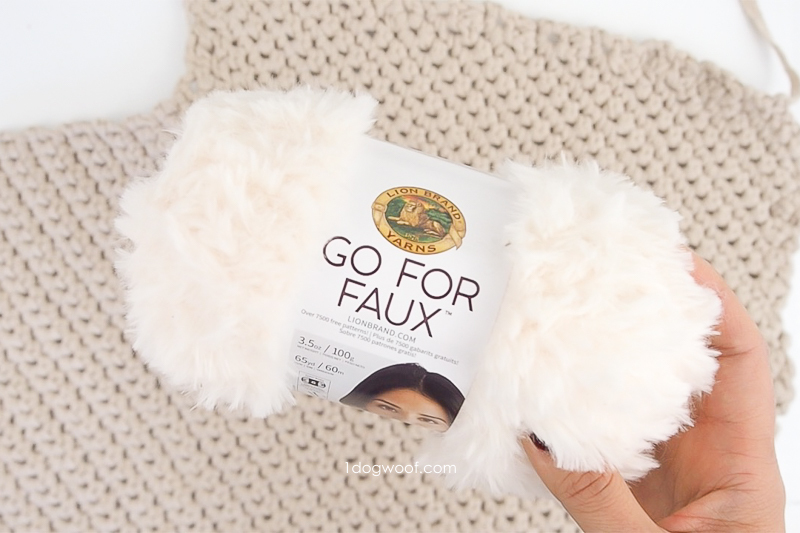 The Go For Faux is 100% polyester and has such a soft touch to it, you just want to rub it up against your face. It’s anchored by a solid strand, with about a half an inch of fluff attached to it. Some makers have shared that this yarn sheds, but it seems to depend on the batch that you get. Out of the 3 skeins I used for this sheepskin rug, 2 of them did not shed at all, and the last one shed some, but not aggressively. 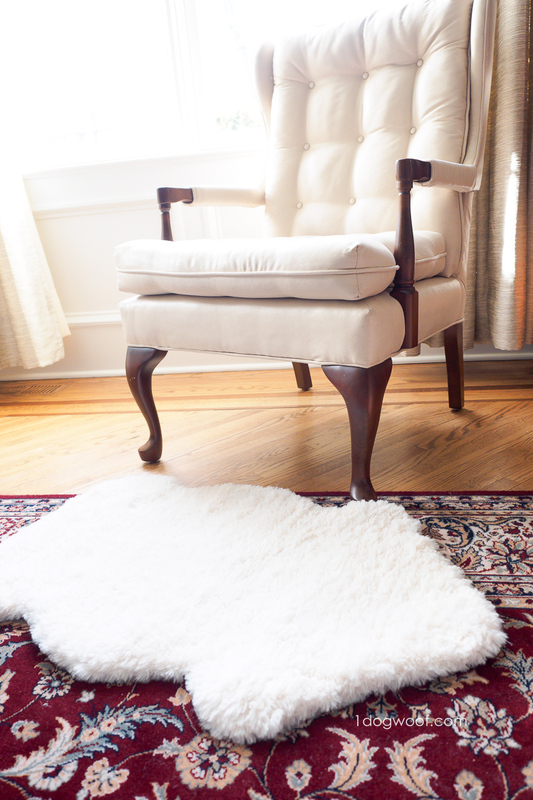 This DIY sheepskin rug is made from two distinct pieces, using two distinct types of yarn. First, you need a strong, sturdy, bulky yarn for the sheepskin base. This is where you’ll create the shape of the sheepskin and is what’s going to provide weight and drape. I used Lion Brand Fast Track, as mentioned before, but I think a bulky yarn like Wool Ease Thick and Quick, or even Lion Brand Rewind yarn, with 2 strands held together, will work well. 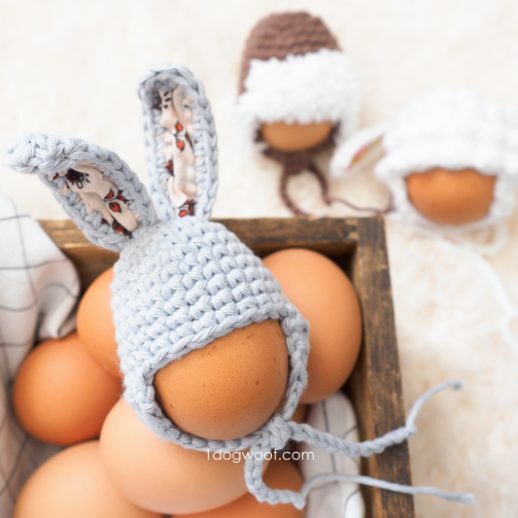 The base shape is created using simple crochet stitches, mainly single crochet, with some half double and double crochet stitches mixed in along the edges to keep the rows straight. Although, the overall shaping of the sheepskin is important, slight variations in the rows themselves can be overlooked because the faux fur yarn on top will cover a lot of mistakes. 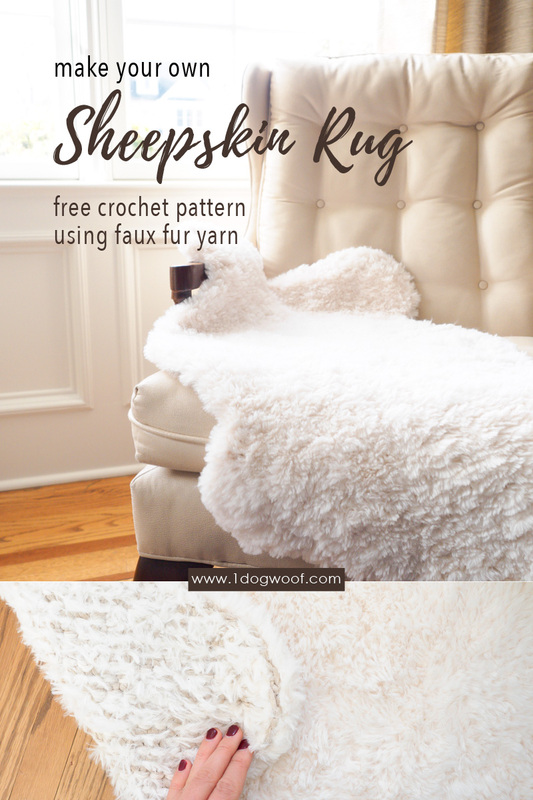 Once you’re done with the base, you can create the “wool” of the sheepskin by surface crocheting the faux fur yarn on top. There’s a very even base of single crochet stitches underneath, so it’s very straightforward to find holes through which to pull the surface crochet stitches. You’ll start with a slip knot on the hook, but remove the hook from the slip knot. Keep the slip knot on the back side of the base, and the hook on the front side. Insert the hook through the first hole, in a corner of the base, pick up that slip knot and pull it through. From here, insert your hook into each consecutive hole along that particular row, yarn over with the faux fur yarn, pull up a loop (LOOP 2) and pull that loop through the loop you already have on your hook (LOOP 1). When you get to the end of a row, you’ll want to rotate the entire project and work surface crochet stitches in the other direction. Also, because the ends of rows may not be as neat, you may want to surface crochet through a couple of different holes, just to make sure you cover the curves with the faux fur yarn. Keep the surface crochet stitches slightly loose, like slip stitches, so they don’t pucker the base, but not so loose that little fingers can get caught in them. As you work through a row, you’ll notice that several of your stitches may be ‘upside-down’, where the base strand of the yarn shows, instead of the furry part. 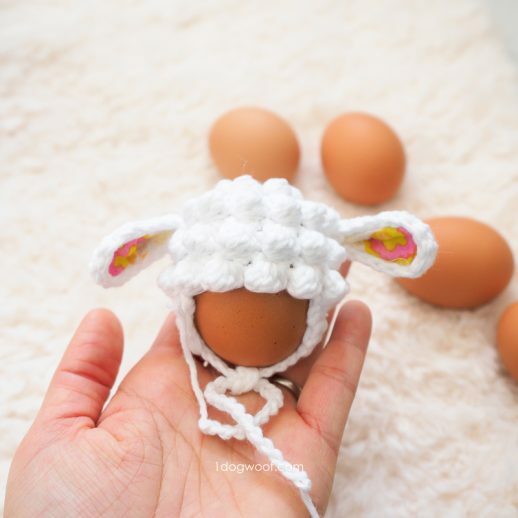 After each row is complete, go through the whole row to fluff each stitch pick, hide the yarn strand, and enable the hair of the yarn to stand upright. This was the most tedious part of the project, but it gives you a much more even and beautiful look to your sheepskin. When you finish the last row of the sheepskin, work slip stitches evenly around the entire outline to really hide the edges of the sheepskin base and fluff out the edges. Tuck/weave in your ends, and your DIY faux fur sheepskin is complete! Since there is some faux fur yarn on the back of the sheepskin, it’s not complete slip proof. This project works best on carpet, or draped over a couch. Despite its name, it’s probably not suited for high foot traffic areas! 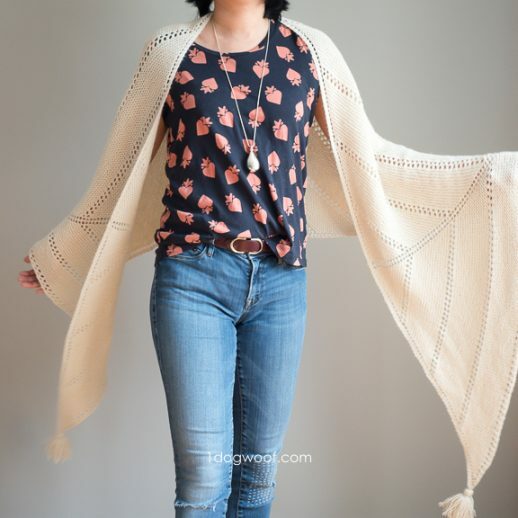 If you’re looking for a more sturdy rug, you may like this recycled t-shirt rug, made from several large thrifted t-shirts! The instructions below gives you the pattern for the sheepskin base. Since the fur is surface crocheted onto the base along each row and along the edges, there is not specific pattern for it. You have to use the holes that you see in your work and freehand the surface crochet. Instructions are for sheepskin base only. Top layer (wool) of sheepskin is surface crocheted onto the base layer. Cut yarn, fasten off, and weave in ends. 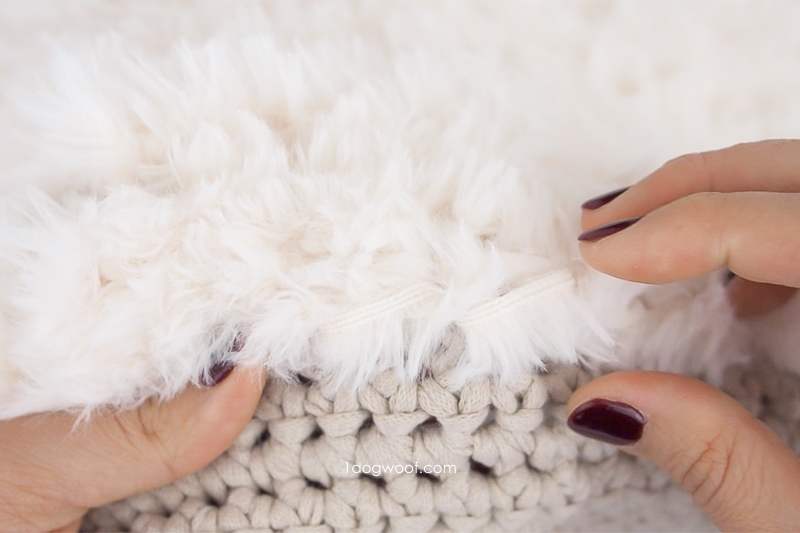 Take your faux fur yarn and create a slip knot on your hook. Remove the hook from the slip knot. Insert your hook into the first stitch at the top corner of the sheepskin base and pull up the slip knot. At the end of each row, rotate the base and work surface crochet stitches across the next row, making sure to work into any extra stitches at the curves along the edge. Fluff each row to highlight and even out the fur. Continue working surface crochet across each row of the sheepskin base. Once you complete the last row, work slip stitches (or surface crochet stitches) evenly around the entire edge of the sheepskin. I really enjoyed making this project (it took me long enough to finally complete it!) and sharing it with you after so much time. I hope you love it and make it and share it with others too! You can find me @1dogwoof on Instagram to share your creations! Hi! Would the faux fur yarn work for snowball ornaments? Could it be worked over the pattern used for the Fair Isle balls (without tree/snowflake pattern)? I am a beginner. I LOVE this – I am making it now! I’m on Row 69 and have myself all confused 🙂 If I do as it says (Row 69: Ch 1. Work 1 dec, 35 sc, 1 dec. Turn. (39)) that is only 37 stitches, right? Should it be like the decreases before it where there is a sc before the decrease on each side? (Ch. 1. Work 1 sc, 1 dec, 35 sc, 1 dec, 1 sc)? I think that would get me to the right number, I just want to make sure that’s right! 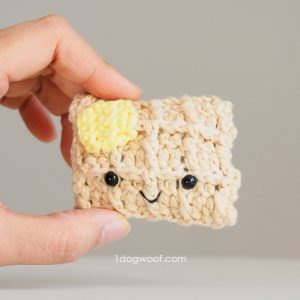 Thank you so much for this pattern!